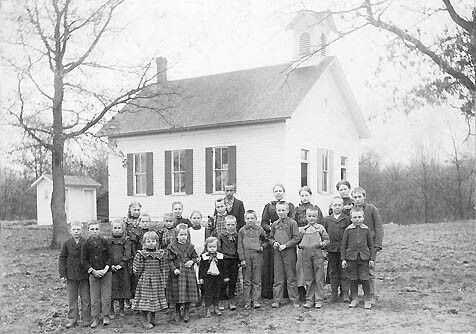 Pfiffner School students in 1898. DISTRICT FORMED The borders of the school district were carved from the Soule District and established in 1859. DISTRICT BOUNDARIES A few changes by 1898 were made where a half-section on the north and a half-section on the west were lost, and a half-section on the east and a quarter-section on the south were gained. “Transients” burned it down August 4, 1979. Consolidated with Mahtomedi School District around 1952.